Welcome to our November newsletter! In this issue, we are happy to present new updates to ATLAS.ti and introduce our Certified ATLAS.ti Training Organization program. We have added new features in ATLAS.ti Cloud, such as the ability to group codes, documents, and memos, and you can work in your preferred language! Meanwhile, we are currently running a survey to better understand our users and your specific needs for qualitative research. Therefore, we invite you all to participate in our survey (it will only take two minutes). Finally, this month, the ATLAS.ti team will be at the American Public Health Association (APHA) Annual Meeting in San Diego, California, so if you are there, please come and meet us! We are looking forward to seeing you! We have listened to the comments and suggestions you have shared with us, and we are proud to announce the newest features of ATLAS.ti Cloud! 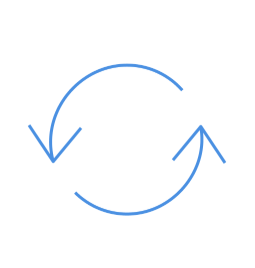 You can now create groups for your codes, documents, and memos to further organize and filter your data analysis. 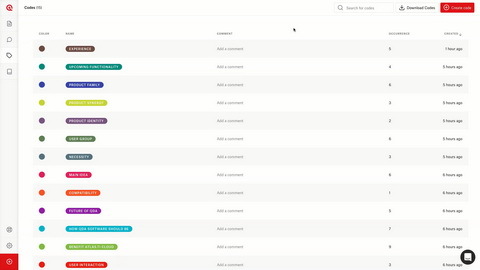 If you work in English, Spanish, or German, ATLAS.ti Cloud will automatically detect your language from your browser so you can work in your preferred language. 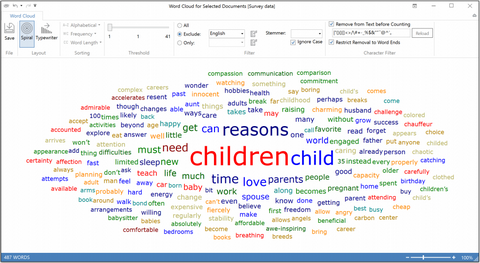 If you want to analyze tables in your Word files, you can upload these to ATLAS.ti Cloud. The file size limit for uploading Word and PDF files has also been increased, and the desktop export function has been improved. We hope you enjoy these new features of ATLAS.ti Cloud, and as always, we look forward to hearing what you think! To sign up, click here. We recently released version 8.3.17 for Windows. With this update we introduced Portuguese as interface language, have implemented short-cut keys for easier use and improved some other features. For the complete release notes, check the full update history. Your opinion is important to us! ¡Su opinión es importante para nosotros! We would like to ask you to take a few minutes of your time to give us feedback on the type of data that you typically analyze. This survey will take less than 3 minutes to complete. Thank you! Le invitamos a compartir su opinión sobre los tipos de datos que suele analizar en sus proyectos de análisis cualitativo. Tardará menos de tres minutos para completar la encuesta. ¡Gracias! 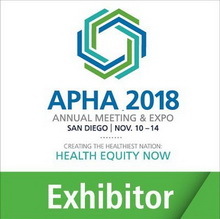 ATLAS.ti will be exhibiting at the upcoming American Public Health Association (APHA) Annual Meeting and Expo held in San Diego, California on November 10th-14th. If you are attending, please stop by booth 1319 for your chance to win a single-user educational license and don't miss the exhibitor theater presentation by our expert trainer, Dr. Ricardo Contreras on Sunday November 11th at 2 pm. See you there! Conducting surveys can be a great way to get a wide range of information about your research topic. But, how can we keep all this data organized? How can we analyze the results for overarching patterns and trends? ATLAS.ti 8 Windows and Mac can help you manage and draw insights from your survey data. For information on how to analyze and organize survey data with ATLAS.ti, read the full article. 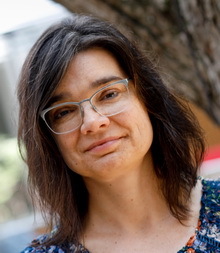 In this issue of ATLAS.ti case studies, we interview Dr. Trena Paulus, a prolific researcher and expert in qualitative analysis who specializes in the application of language-based methodologies to online conversations. We are delighted to interview Dr. Paulus and learn from her extensive experience conducting qualitative research and using ATLAS.ti. FREE demonstration of ATLAS.ti for groups evaluating the program, professors introducing it in class, or researchers wanting to introduce it at conferences. For inquiries, contact us at [email protected]. You may also call us at +1 (866) 880-0231 (toll-free US and Canada) and +1 (541) 286 4391, 9:00 am to 4:00 pm PST. Ofrecemos talleres virtuales gratuitos para grupos. Estos talleres están orientados a grupos que están evaluando el programa o a profesores que desean introducirlo a sus alumnos. Por favor llenar este formulario de inscripción. En caso de consultas, por favor escribanos a [email protected].